So I have been very very very quiet in the blogging front since Ol’Dirty in Aug 2016 and I had mentioned that the two events I had entered were Amy’s Gran Fondo and Dirty Gran Fondo…well I didn’t end up doing either events. 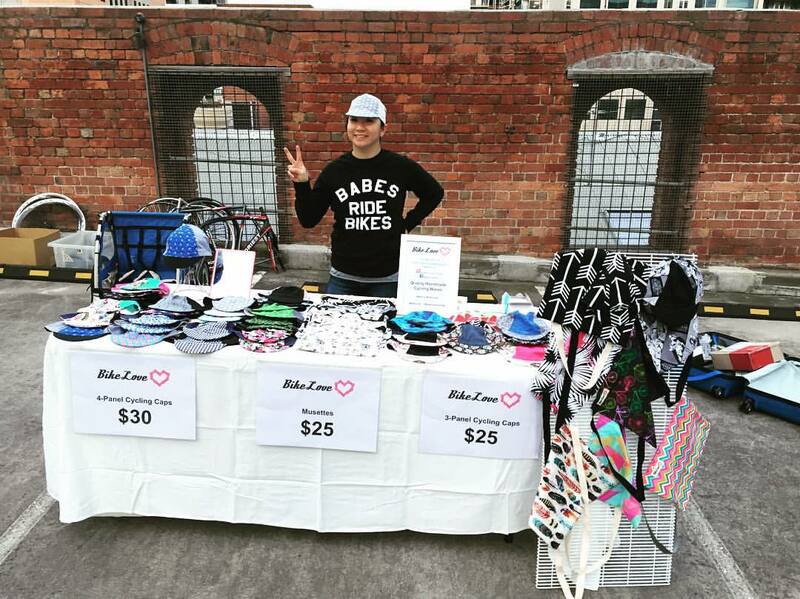 My hobby business of handmade custom cycling caps and musettes had picked up a tad and I was committed on a pop-up store at the Bicycle Market on the 17th September. With that in mind, rather than spending an entire weekend away from the sewing machine, I decided to stay in Melbourne, finished off my 21 caps for an order from the US and more for my pop up store. On Monday 12th I had finished and posted my US orders (all 21 handmade cycling caps) and then I flew into Perth for work for the next 3 days (no sewing!) With only 2 more days post Perth to make stock for the Bicycle Market, I was up until 2am in the morning on Thursday and Friday night…. The Bicycle Marker was pretty much a swap-meet. There was pretty much only 2-3 stalls out of 50 which sold something new…It wasn’t the ideal market for my goods but I am happy to report that I sold a third of my stock and will be putting the rest of them up on my online shop. I received positive feedback for my caps and I will need to work on display for the next market opportunity and will be looking at a pop-up at the 2017 TDU. I decided to stay at home and have a rest and not do the Dirty Gran Fondo. The Canadian didn’t want to put himself through an event like this without having been on a bike in months and it was also a wet day and I couldn’t be bothered dealing with it all…. With the weather picking up during the week, I had committed myself to be on the bike as much as possible. This includes commuting to and from work (I live 35km from work), playing on the track for 30min or so through to a long ride on the weekend.